U.N. Ebola Trust Fund has raised only $100K to fight Ebola. 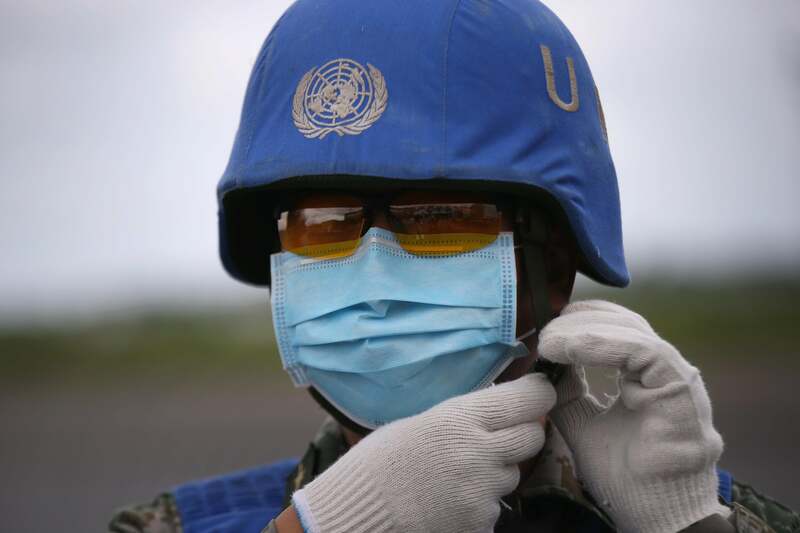 A U.N. soldier prepares a truckload of Ebola relief aid in Liberia. Now that we’re all agreed that Ebola is everyone’s problem, we’re all totally going to do better fighting it, right? Right. Beyond simply getting hysterical about the widening web of cases in the U.S. and elsewhere, fighting the virus at its source would also seem like a good idea—for everyone. Exactly one month ago—on Sept. 16—the United Nations set up an Ebola Trust Fund seeking $1 billion to do just that. On Thursday, U.N. Secretary-General Ban Ki-moon offered a status report on which countries are ponying up cash and how much they gave. It presumably didn’t take the U.N. too long to crunch the numbers on contributions. Of the $1 billion needed, only one contribution has been made, of $100,000—by Colombia. That means the U.N. is still, approximately, $999,900,000 short of what it thinks it will take to combat Ebola. As a barometer of global commitment, the U.N. trust fund isn’t all that encouraging. So far the global response has been mixed and generally underwhelming. “[Ban] said dozens of countries “are showing their solidarity,” singling out the U.S., Britain, France, Canada, Germany, Poland, Japan, South Korea, Cuba and China. But he said it’s time that countries that have “the capacity”—which he didn’t identify—provide support,” according to the Associated Press. Dr. David Nabarro, who is heading the U.N. response to the Ebola crisis, said the trust fund was intended to offer “flexibility in responding to a crisis which every day brings new challenges; it allows the areas of greatest need to be identified and funds to be directed accordingly.” World Bank President Jim Yong Kim said on Thursday the world does not have a choice in whether to support the Ebola fight… “Countries need to support the U.N. fund. They have to step up and they have to put the money in right now. It is the most rational thing to do from humanitarian, public health and economic perspective. It is the right thing to do,” he said. *Correction, Oct. 17, 2014: This post, to the chagrin of all of the math teachers its author ever had, originally miscalculated the total of $1 billion minus $100,000.